Pick up your bikes, have a short orientation, arrange your gear and off we go. Ride north along the coastal highway to a view point on Mt. Carmel. From there continue north to the City of Akko, a world heritage site. From Akko we will cut east through the upper Galilee along the Lebanese border and visit the old city Tsfat where Kabbala started. We will go down towards the Kinneret, Sea of Galilee. We will stay in area of the Sea of Galilee. Today we will head further north to a lookout on the Lebanese border and the Hula valley. Depending on the season, it is possible to do a short hike or raft on the Jordan river. 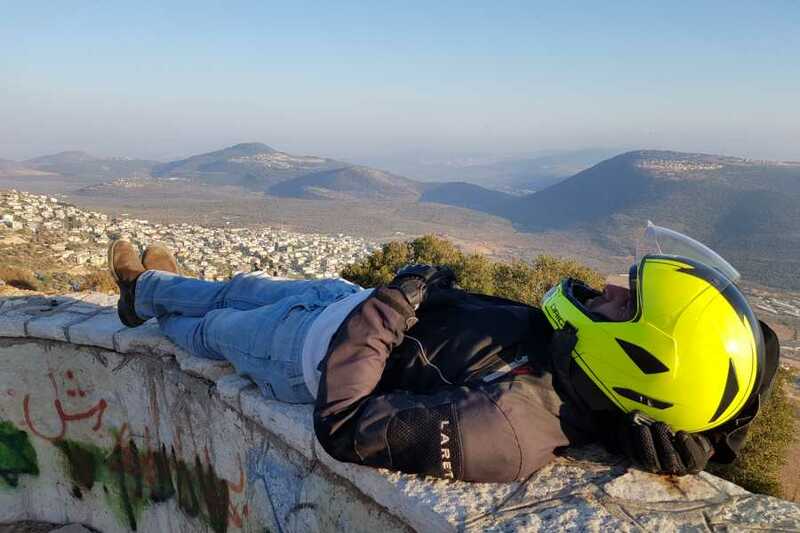 Our route will take us up the Golan Heights to a 12th century fortress and from there we will continue along the Syrian border with a few lookouts and nature reserves all the way to the famous winery of Katsrin. After the visit in Katsrin we will ride to see a 1,600 years old synagogue, one of many that were discovered in the Golan Heights. 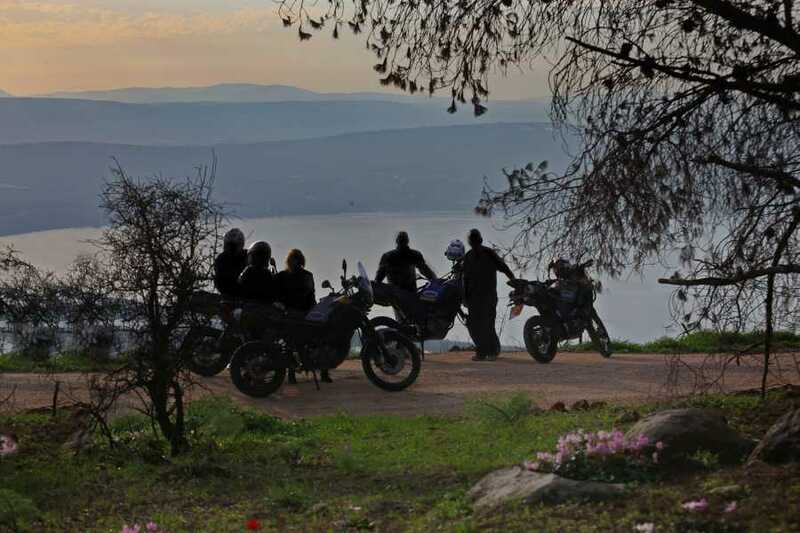 We will then head to a stunning viewpoint of the Kinneret, Sea of Galilee, and then ride down the winding road that leads to the meeting point of the borders of Israel, Syria and Jordan. We will stay in area of the Sea of Galilee. Night out in Tiberius. In the morning we ride to the World Heritage site of Maresha and visit the bell caves. We will also visit the site of the fight between David and Goliath. In the evening we will do a tour Tel Aviv and Jaffa. We will ride all the way south to the Scorpions Pass and continue to the Arava Valley The Syrian-African Rift. 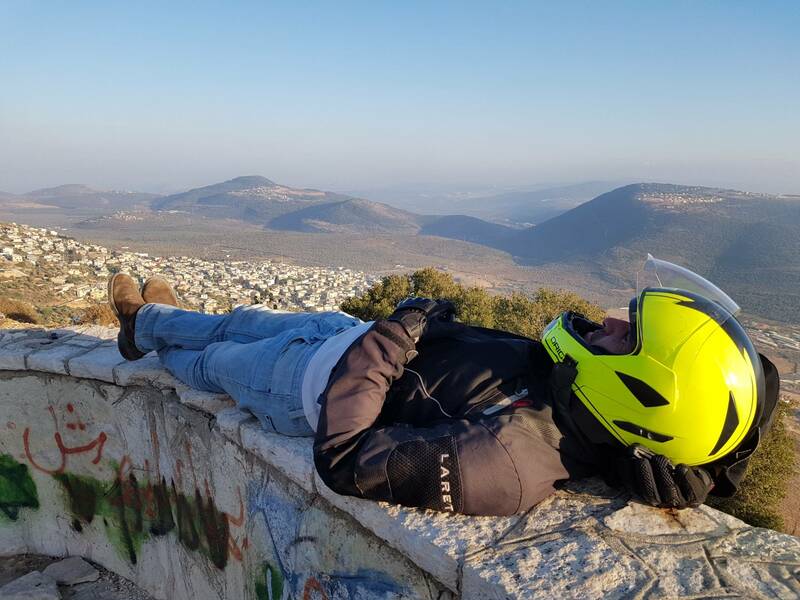 After riding to in the valley we will go towards Arad and ride off road on a trail to see a stunning view of Mt. Sodom - the only salt mountain in the world and the Dead Sea. We will ride from the city of Arad at 550 meters above sea level to the lowest place on Earth, the Dead Sea. Here we will visit Masada and also have a chance to float in the Dead Sea. We will end the day in Jerusalem. On this day we will visit Jerusalem and we will try to understand why Jerusalem is so important for the Jews, Christians and Muslims. We will visit the old city as well as part of the new city. At the end of the day we will conclude the tour in Netanya and return the bikes.